With the start of another week we have the Nintendo Download Update details for Europe, and this week is full of enticing options. We have a range of new downloads on the Wii U, along with some 'Nindie' DLC and upcoming Nintendo Selects price-drops. In addition to that we have a free beta, discounts and more besides, so there's plenty to consider - let's get to it. Olympia Rising (PlayEveryWare, €4.99 / £4.49) - This is an adventure platformer with some rather stylish pixel-based visuals, as expected revolving around climbing up Mount Olympus. This looks impressive on other platforms, so we'll see how it stacks up on Wii U in a review. 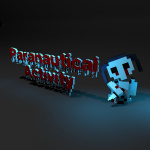 Paranautical Activity (Digerati, €9.99 / £8.99) - A game with a somewhat unique and controversial history, it features procedurally-generated levels and permadeath - two common Roguelike elements - as well as hordes of enemies and bosses to fight. Upgrades are available to make things a bit easier, and there are plenty of hidden items to seek out. We'll tackle a review soon. 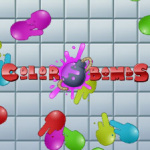 COLOR BOMBS (RCMADIAX, €1.49/ £1.39 ) - A chain-reaction title in which players must collect a predetermined amount of the aforementioned bombs to complete a stage. We were very critical of this in our COLOR BOMBS review. 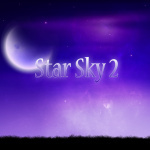 Star Sky 2 (JMJ Interactive, €4.00/ £3.60) - A follow-up to a previous Wii U arrival, this is designed to be a relaxing, meditative experience in which you explore and soak in the atmosphere. We didn't think the first game hit the mark, but will find our inner peace to give this one a try. Yoshi's Story (Nintendo, €9.99 / £8.99 ) - Known as Yoshi's Island 64 in the early stages of its development, this entry into the Yoshi canon finally makes its Virtual Console debut. The platforming action here takes place within a pop-up storybook and has an interesting visual style, with pre-rendered 3D graphics used to craft worlds made from materials such as wood, fabrics and cardboard. We gave this a modest recommendation in our review. Satura's Space Adventure (13AM Games, €6.49/ £5.89) - Teased by 13AM Games recently, stay tuned for an exclusive reveal on Nintendo Life later today. Lost Reavers (Bandai Namco, free) - You can put this free-to-play online co-op shooter to the test in this beta until 26th April. Super Strike Beach Volleyball (Natsume, €4.99 / £4.49) - Promising 'high-octane' beach volleyball, you have the choice of eight characters (with different abilities) and a campaign mode to take on, though free-play is an option too. This could undoubtedly be fun, so we'll dig out a beach towel and let you know what we think. Pilotwings (Nintendo, €7.99 / £7.19) — This flying game was a trailblazer when first released, combining different vehicles and challenges with the goal of flying your way to a surprising and epic final mission. Not exactly a detailed flight sim, but under the right circumstances still laid back, this one certainly has a loyal group of fans that we suspect will eagerly pick it up on Wii U. We gave this a modest recommendation in our Wii U Virtual Console Pilotwings review. Yoshi's Story for me. I also intend to download New Super Mario Bros. U + New Super Luigi Bros. U and Donkey Kong Country: Tropical Freeze in the next month. I have New Super Mario Bros. U and Donkey Kong Country: Tropical Freeze on disc but I think I will give them to my niece for her 8th birthday in June instead of buying her a present. Not interested about Runbow DLC, the vanilla version cost enough for me and I´d rather save my money for some other games. I want to try Lost Reavers beta with my friend online since it's free. Getting the SNES PilotWings on New3DS myself, i'm loving having some SNES games on the go. Lost Reavers and (FINALLY) Tropical Freeze for me. If you don't have Tropical Freeze, get it now! I'm getting Yoshi's Story. Lost Reavers and maybe Star Sky 2. Lost Reavers and Runbow DLC for me! Superb week, I've been waiting for this one since we heard about the Selects. I'll be downloading NSMBU+Luigi, Wind Waker HD and LEGO City and spending the 90 gold points I'll earn on Mario 64 . I'll be sure to give Lost Reavers a try too, I've no idea what to expect from that really. With Starfox coming next week, I'll be spoiled for choice. Why Pilotwings 64 has not been released on Wii nor Wii U? Awesome to finally get to see Lost Reavers. Also really good that the Nintendo Selects Wii U games are coming. I really hope this increases especially the sales of Lego City Undercover, it's still one of the best Wii U games made. I wish I could get Runbow and,maybe,some of its DLC but I'm broke. Guess I'll just try the Lost Reavers beta. Terrible week for the 3DS, other than Pilotwings but I'm not really interested. If it were Pilotwings 64 that'd be another story. @Tsurii Try and make time for Tropical Freeze if you can,you won't regret it. Without doubt one of the best platformers ever made and certainly the best on Wii U. A real bargain at that price. Nothing for me this week. I'd consider Yoshi's Story if it wasn't so expensive, I'm not paying €10 for a digital code of an N64 game that isn't all that great to begin with. And speaking of expensive, Runbow including its DLC(Extra Value Bundle my @R$€) is €26, you must be having a laugh. Olympia Rising might be a game I'll download. Just looked at a more in depth video. I'll need to read some reviews first. Has an average of 7 on Steam so I hope there has been some improvements on the Wii U version. No idea, would be awesome to have it. Not laughing, would have downloaded it if it was free update or for a lower price. Already have preorders on New Super Mario Bros U, Tropical Freeze and Windwaker HD from Nintendo store UK. Thankfully will be getting Star Fox Zero for my birthday next month, or this would have been an expensive month. Rubik's Cube...? That's an... unique idea, I guess? Seems like there aren't any screens from the game yet, when searching through Cypronia's site and Google. I will eagerously wait for the review. Lost Reavers and some Runbow DLC for me. Time for me to get with the times and try a beta game for free, hope it's worth my time and not a buggy mess!! Can you download New Super Luigi U as a stand alone game or do you have to have New Super Mario Bros. U already on your system? If so is it worth it, I have never played it! Which of these games don't have "pixel-based visuals"? NoA gets Yoshi's Story, and NoE gets it the week after. Where the Hell are the Other M and Xenoblade ports, NoA? Good week! My wallet is prepared for The Legend of Zelda: The Wind Waker HD but im also interested of Lost Reavers beta. Is it just me or is it every time I read "Nintendo Land" I read it to myself in Marge Simpson's voice? @SKTTR You haven't played Lego City yet? I thought that with the breadth of games you have you would've finished that long ago. And if it uses only thumbsticks for aiming, I think I'll pass it anyway. Getting Yoshi's Story soon and Tropical Freeze (physical copy) at some point. Yeah I do wonder why Pilotwings 64 has never been released on the Virtual Console considering it's part of flagship Nintendo franchise. Possibly a license issue? Or something to do with the game engine? I'll give Lost Reavers a try. It might be fun, but it doesn't appeal enough for me to buy it without giving it a try. New Super Mario Bros. U + New Super Luigi U is very tempting at that price, but I'll hold off for now since there's too many other games I want to play. @BigBluePanda I don't think it's a licence issue, the copyright is 100% Nintendo. Apparently, there was going to be a sequel but Nintendo did not want to focus on it, even though Pilotwings 64 was very well received by critics and players. It got a continuation however on Wii Sports Resort and Pilotwings Resort. It's a mystery why Pilotwings 64 has not been released on Wii nor Wii U, I never played it on N64 and I'd like to try it. @Scottie You can't download Super Luigi U if you don't have Super Mario Bros. U. Considering that Super Mario Bros. U is the better of the two, you'd better download the duo. The Mario part is a classic Mario game, much like the Wii game but better, while the Luigi part is a collection of rushing levels. @Grumblevolcano And then just after you finish upgrading all of those Nintneod will let you upgrade them all again on the NX. So, what's the difference between a free to play Lost Reavers beta and a free to play Lost Reavers? Why not just say they are releasing it 2 weeks early and they have patches and updates planned? If LCU comes to the US for $20 I have to finally buy it, as recently as yesterday I was complaining about the $50 eShop price on a 3 year old Lego game. Though I would still buy it on disc, I happen to like the Ntinedo Select boxes. Whoa, Olympia Rising is super cheap! Is it coming to the Americas this week as well? If so, I'll definitely get it. Lost Reavers I definitely wanna check out and i may download Lego Undercover or get the physical version. @VanillaLake @Grumblevolcano Well I do expect NX to have a PS+ type service If its going to have games like SW:B, Destiny and COD so Nintneod is going to have to start charging for online, and if they do I'd like for them to throw in some old S/NES games for our $. And if they don't charge for online b/c they don't get any FPS games then a Netflix like rental service for S/NES games. They can't give away 5 free new mobile games while charging $6-$8 a piece for 20 year old games. They should get some subscription money for those relics while they can. My Nintendo will work with it somehow. Nothing for me this week. I seem to be spending all my monies on DS gems over the past few weeks. Have noticed a lot of DS games are creeping up in price over the past 2 years so getting some gems while I can to add to my collection. @readyletsgo Yeah, the American cases are nicer, DS cases are huge here in Europe. Karous is a brutally tough game. If you like old fashioned brutally tough games then go for it. Its good for the money but be warned its brutal. Oh good, Nintendo Land is on offer, just €25... Gee, that game should have been free from the start, a tech demo of the GamePad's capabilities installed by default in all consoles. Well, now who cares. Hope Lost Reavers comes to NA this Thursday. Been dying to try it out. Fingers crossed its good for all you lucky Euros. Have fun! I hope that Lego City Undercover discount comes to 'murica so I can finally acquire it. It's always stuck in my craw that I haven't yet. I would like to download the Lost Reavers beta this week, but whether I can or not all depends on whether I can obtain an external hard drive or memory stick that I can use for my Wii U. If I don't download and try it out this week, then it'll have to wait until I get Star Fox Zero and Guard, which will give me an opportunity to get an external hard drive or memory stick. That said, for all I know, I might have enough room for it as it is. I might even be able to make enough room via deleting the odd demo I still have on the system. We'll see, but I did vote for Lost Reaver's beta in the poll. Not much love for 3ds this week. Hopefully beach volleyball or Rubik's cube be a surprise gem. How about some more selects for 3ds in line with North America Nintendo?? 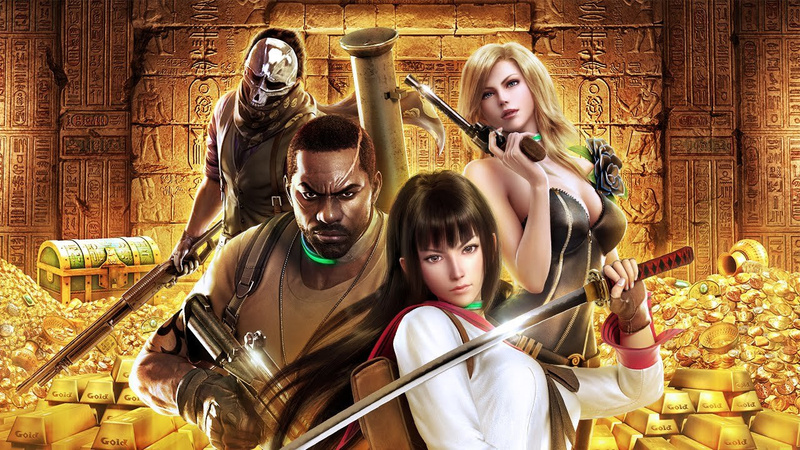 Interested in the Lost Reavers beta. I figured it'd have a long way to go yet. I'll try it out with a bunch of friends. Sorry for the stupid question, but does anyone know if the select version of a game's dashboard icon is the same as the original one? I NEED TO KNOW DAMMIT!!! @Grumblevolcano Mega Man 9 & 10 are WiiWare games which don't come to the Wii U eshop. You can forget about upgrading them. Fantastic - I'll be getting Yoshi for sure. 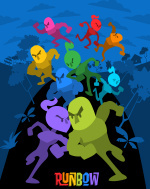 Possibly Runbow, and interested to try Lost Reavers. Really want Lego City Undercover but trying to find an affordable non-selects physical copy. I wonder if NoA will get Mario Kart 64 or one of the other N64 games this week. @VanillaLake yeah the cases are old looking in Europe. Don't know why they chose that size. @Mahe nah, prices have been going up on some games for the past 3 or so years, mainly the gems of the DS. Personally I don't think the end of cartridge print runs matter for the DS, as like billions of these carts sold overall and are still being sold new. Games I look for only got 2 or max 3 print runs in their individual 'life time'. @VanillaLake Thanks for the reply! Not sure I will download both as loads of other stuff to play. Guess it is a bargain though?!! I'll be getting New Super Mario/Luigi U having sold my disc's for a healthy amount. Then Yoshis Story as for some reason I fancy another crack at finishing that properly. At that point I'll have enough coins for 6 Golden Coins. Basically I'm buying a one-way ticket to retro platforming heaven this week. Tropical Freeze just got that much closer. A discount for DK Tropical Freeze is good to see. If you're thinking of getting Yoshi's Story....don't bother...trust me, just don't. Does anyone know if the Nintendo Selects offered to Europe will be available in the U.S. as well? I would love to download Wind Waker and NSMBU for $20 each! @Scottie You're welcome. Honestly, the best Wii U platformers are Donkey Kong Tropical Freeze, Rayman Legends and Yoshi's Woolly World. Tropical Freeze is gorgeous and challenging. Rayman Legends is a lot of fun and Yoshi's Woolly World is really charming. The three of them have great soundtracks. Super Mario Bros. U is not a bad game at all, but it just doesn't offer as much as those other three games, but feels like a polished New Super Mario Bros. Wii, which was not the best Mario platformer to begin with. @Pahvi I'm not that much into Lego style games. This will be my first Lego game, and only because it's like GTA and is told to be the best one yet. I am tempted with Yoshi's Story! but I've read it's pretty easy so I might not bother with it. I read on Nintendo life that the big N were releasing a select series on Wii-U and that one of the titles would be New Luigi bros, I preordered it and discovered that New Super Mario bros would include Luigi. I thought this was a great buy and preordered, I thought this would be a standalone game as it got a standalone release. I'm a tad annoyed as I bought NSMb when it first came out and paid £40 for it, it wasn't sealed but it came from at the time a well trusted store! paying £20 now is good enough for me and on one site I saw it for £18.... but I didn't fancy paying for the postage and lose out on the loyality points elsewhere. @Pahvi and @SKTTR Lego City is a great game, it's being released as a select and for £20 you won't look back. @Pj1 I got Lego City ages ago and have 100% cleared it ages ago... not buying it again now. @SKTTR OK, and I would agree with those saying it is the best. Lego City is so far the only Lego game I've 100% completed. Marvel Super Heroes is the only other title I've tried to do that with, and I just couldn't care enough of Marvel to do that. But Lego City managed it without relying on other brands. The Wii U has been a brilliant machine for platform games. All those you listed are great, then there's lots of classics on VC, even more through Wii VC, even more again on the Wii and of course indie games. @electrolite77 I agree. If I love my Wii U is for those brilliant 2D platformers: Tropical Freeze, Rayman Legends, Yoshi's Woolly World..., plus some retro games now in NTSC version for the first time in Europe (DCK 1 and 3 but funny enough not 2). New Super Mario Bros. U and 3D World are okay, but I'm missing a real 3D Mario game, Wii U doesn't have any. And Maiden of Black Water, I was thinking of getting a Japanese console for that game, but I don't speak Japanese anyway. I can't believe I have the Limited Edition now in perfect English. It's a shame there's no proper 3D Mario game on the machine but it's a sterling selection otherwise. I think there's only Sunshine and NSMB2 missing out of all the Mario games, the Wii had some crackers (Rabbids Go Home, Kirbys Epic Yarn) and then with the Wii VC there are a lot of Megadrive/Genesis classics and even the Bonk games from PCE/TG16. Project Zero...I have the special edition but I doubt I'll ever play it. I played one of the series on PS2 and it was far too scary for my delicate constitution. Good to see it released though. I tried to get Luigi U but it's nowhere to be found.